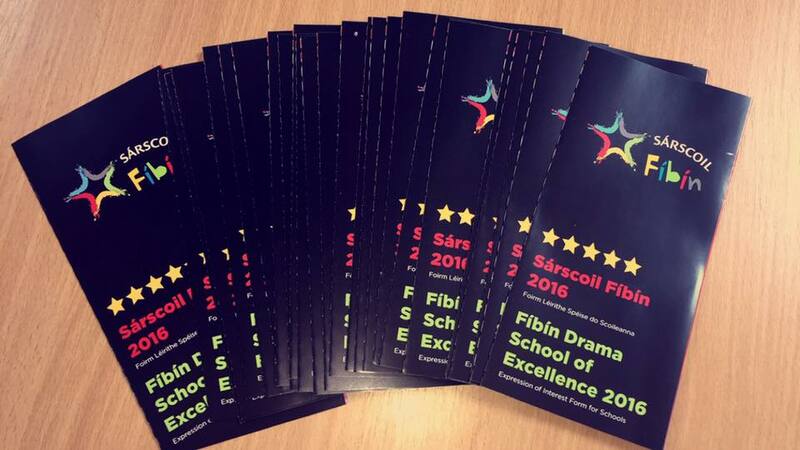 SIANSA GAEL LINN – CRAOBHCHOMÓRTAS 2016 AR TG4 ! Don’t miss a special programme on TG4, Sunday next, 1 May at 5.25p.m. featuring highlights from the recent Siansa Gael Linn 2016 Grand Finale concert. Eight talented young groups competed on the National Concert Hall stage on 17 April in front of an audience of over 1000 people – expect excellent traditional music and song ! Follow us on Twitter #Siansa or on Facebook Siansa Gael Linn ! 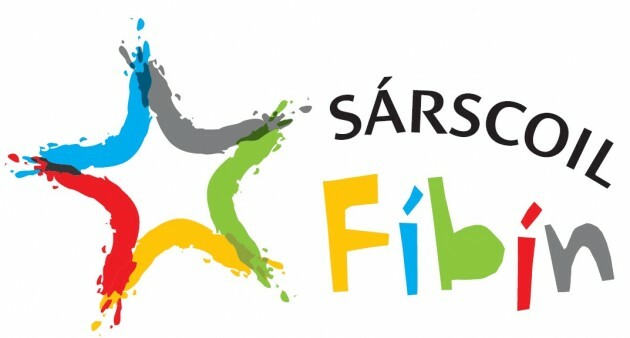 Tá Sárscoil Drámaíochta Fíbín ar ais don séú bliain as a chéile agus muid ar thóir scoláirí idir 15-17 bliain d’aois ó cheantair Ghaeltachta agus Ghalltachta ó thuaidh agus ó dheas den teorainn chun páirt a ghlacadh ar an gcúrsa. Más spéis leat taithí aisteoireachta/drámaíochta a fhoghlaim seo é an cúrsa duit!! Gach bliain eile théadh muid timpeall na tíre ag déanamh éisteachtaí i scoileanna ach i mbliana tá an próiseas roghnúcháin athraithe againn agus ní bheidh ort anois ach físeán gearr duit féin a sheoladh isteach ag aisteoireacht as Gaeilge ar YouTube/r-phost/Vimeo/Dlúthdhiosca cibé caoi is fearr leat chun seans a bheith agat áit a bhaint amach ar an gcúrsa. Is dianchúrsa aisteoireachta/scileanna drámaíochta atá ann le casadh difriúil mar go gcónaíonn na rannpháirtithe le chéile i nGaeltacht Chonamara ar feadh an tréimhse coicíse agus ritear na ceardlanna uile trí mheán na Gaeilge. Gheobhaidh na haisteoirí óga taithí agus oiliúint fhíor-luachmhar faoi stiúir an stiúrthóra Stephen Darcy. Foghlaimeoidh na daoine óga faoi aisteoireacht don scáileán chomh maith le don stáitse. Beidh Laoise Ní Nualláin linn chomh maith ag teagasc ceoil agus amhránaíocht ar an gcúrsa. Tá costas €625 ar an gcúrsa coicíse le beatha agus lóistín san áireamh ach is féidir le daoine áitiúla nach dteastaíonn socruithe lóistín uathu an cúrsa a dhéanamh ar €325. Tabharfar cuireadh do na meáin, craoltóirí, léiritheoirí teilifíse, polaiteoirí áitiúla chomh maith le tuismitheoirí agus cairde freastal ar an léiriú ar an lá deiridh. Chun tuilleadh eolais nó bróisiúr a fháil faoin gcúrsa téigh chuig www.sarscoilfibin.ie nó seol ríomhphost chuig Caitlín i Fíbín ar sarscoilfibin@gmail.com nó glaoigh ar 091-505855! iClassCMS is a complete web and mobile publishing platform for schools. With iClassCMS a school will have a beautiful website that is responsive and will work on all mobile devices. It takes the requirements of all key participants into account and is the only platform that incorporates the needs of teachers, students and parents alike. Our national approach to Irish as a spoken language is in urgent need of a rethink. Given the pending demise of the Gaeltacht, the status quo is clearly not working. Without vision and innovation, Irish will not survive as a community language beyond the next 10 years and we will lose the social context needed for young people to acquire fully functional Irish. Except for rare individuals, you can’t really have competent Irish speakers without the Gaeltacht. And you won’t have a Gaeltacht without serious social change. Language communities need competent speakers and those speakers need communities. One reinforces the other. Much of the public debate about Irish ignores the tension between, on the one hand, the processes of social language death in the Gaeltacht and, on the other, celebrating the use of Irish as an artistic or symbolic appendix to the dominant English-language culture. We appear to be living through a final eclipse of Irish as a community language by the use of Irish for display or performance. This eclipse of communal use by display and sentiment is common in the death of a language. Current policies, including the State’s 20-year strategy for the Irish language, are irrelevant. The cliche about the benefits of individual bilingualism do not address the problems of the threatened minority group of Irish speakers. It actually shows a lack of empathy for the Gaeltacht by undermining proposals for affirmative action. The realignment of policy towards learners’ individual needs is strategically facilitated by a widespread denial of and indifference towards the Gaeltacht among sections of the political class, the media and academia. It is impossible to address the crisis of Irish if those in charge refuse to recognise the clearly documented evidence surrounding the decline of the Gaeltacht – or worse still when they conspire to “shoot the messengers” who report these facts. We propose the establishment of new social structures and organisations, based on democratic agreement and organised along co-operative lines. Language communities require empowerment through collective action. These include the protection of language-group dynamics and social, educational and institutional support for developing full competence. There also need to be socio-economic rewards for membership in the minority group. But these needs are not being met by the present approach of the State agencies responsible for the Gaeltacht. 1 Irish linguistic zones (Tearmann na nGael): Similar to ecological protection, these will provide a habitat for the geographic protection of the remaining Gaeltacht speaker base, if and as endorsed by the community organisations. 2 Community Trust for Gaels (Iontaobhas na nGael): This co-operative structure will manage the various resources of group members and will administer the beneficial schemes for its members. These will include employment and housing schemes, dividends and social reward systems, tax incentives, educational and cultural supports. We suggest a mixed model of public, private and philanthropic sources for funding to encourage greater financial independence. 3 Assembly for Gaels (Dáil na nGael): This assembly will provide a democratic mechanism for political solidarity, empowerment and leadership to endorse practical initiatives for the Community Trust. 4 Academy for Gaels (Acadamh na nGael): To undertake research and disseminate knowledge for the benefit of the community and to offer strategic support for organisational structures. The least we can do now is to face facts and deal with reality. If we are to be constructive, Irish needs a new social dynamism. We hope that these ideas and proposals may form the basis for a more productive engagement with current challenges and can encourage positive citizenship and optimism for Irish. Kidorama are looking for qualified fluent Irish speaker to work in our Naionra and other rooms of our busy crèche. N.B. Applicable candidates must be proficient in Irish.